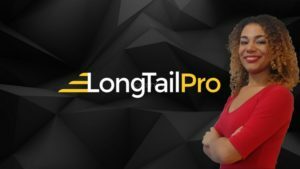 Find Low Competition Terms for your SEO – FAST with an In-Depth Keyword Research Software Demo of LongTail Pro Platinum! You will be able to find thousands of long tail keyword phrases and their organic competition with just one simple tool! Does it take you hours to research relevant keywords for your brand or business? Do you find it takes you even longer to find low competition terms that you can rank for quickly? Are you tired of using multiple keyword research tools only to find they don’t offer the features you really need? If you answered ‘Yes’ to any of these questions – this is the course for you! Keyword research can be time-consuming (especially when you want to find low competition terms) – but LongTail Pro makes it easy – seriously! If you want to be successful with SEO and rank high in Google you NEED to find keywords that have lower competition! Plus – 3 sweet EXTRAS I know you’re gonna like! ***NOTE*** This course is focused on demonstrating how to use LongTail Pro than it is about teaching keyword research. If your goal is to learn the process of keyword research I recommend my other keyword research courses on Udemy. *If you need help deciding – feel free to message me.